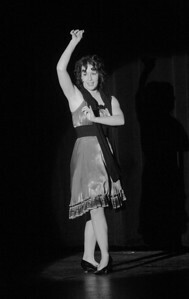 I have many more photos from this performance - please let me know if you are looking for photos of a particular performer. It was a great show! 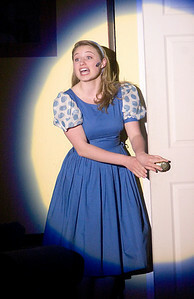 Callie Johnson as Kim MacAfee in Bye Bye Birdie at Genoa-Kingston High School on Sunday afternoon. 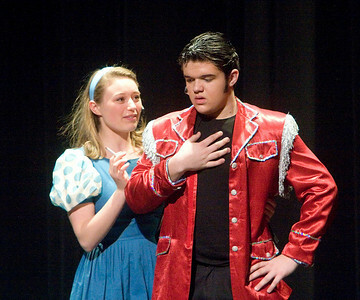 Wade Tischhauser as Albert Peterson and Anna Storey as Rose Alvarez in Bye Bye Birdie at Genoa-Kingston High School on Sunday afternoon. 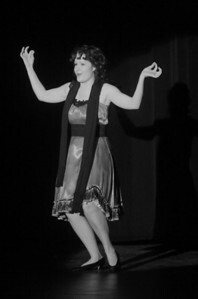 Anna Storey as Rose Alvarez in Bye Bye Birdie at Genoa-Kingston High School on Sunday afternoon. Callie Johnson as Kim MacAfee and Jacob Dander as Conrad Birdie in Bye Bye Birdie at Genoa-Kingston High School on Sunday afternoon.